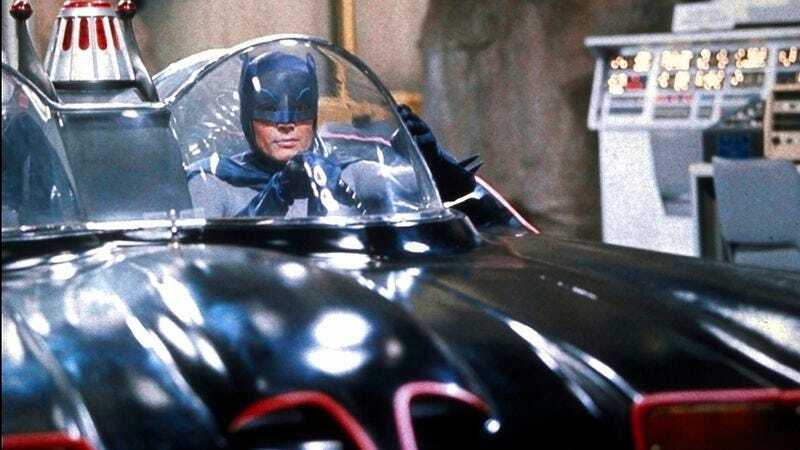 While you may be able to sing “Happy Birthday” with impunity now that a judge has rendered the song’s copyright invalid, you still can’t hum the 25-note tune from behind the wheel of your custom-made, screen-accurate 1966 Batmobile. Variety reports that three judges on the 9th Circuit Court of Appeals have ruled that the Batmobile is a “unique and highly recognizable” character in its own right, and is therefore subject to copyright. “As Batman so sagely told Robin, ‘In our well-ordered society, protection of private property is essential,’” Judge Sandra Ikuta nerdily writes in the court opinion. “Here, we conclude that the Batmobile character is the property of DC.” And that applies to all the Batmobiles: “No matter its specific physical appearance, the Batmobile is a ‘crime-fighting’ car with sleek and powerful characteristics that allow Batman to maneuver quickly while he fights villains,” the opinion states. The legal status of the Bat-Copter remains ambiguous.